Filed under: Caroline Abram, CUSTOMER OF THE WEEK!, EVENTS! Introducing our lovely Customer of the Week…Silvana and her adorable pup Penny! When Silvana and Penny walked in to the shop it was love at first site… for everyone! 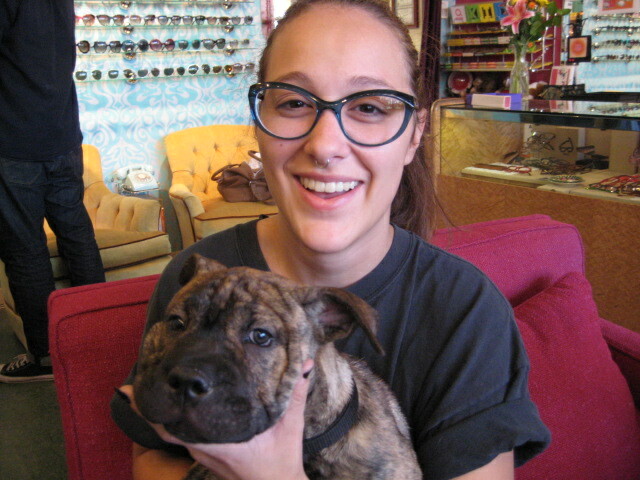 We were enamored with puppy snuggles and she fell in LOVE with an absolutely gorgeous teal pair of Liliane glasses by Caroline Abram. Silvana and Penny spend their days at the Chicago Mosaic School and are pros at taking care of business in style!!! So stop by for a class or workshop and make sure to say hi for us! 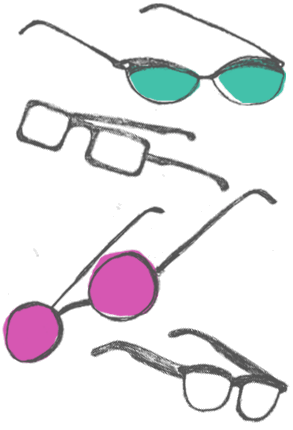 Caroline Abram is known for effortless and wearable style and all of her frame shapes come in a rainbow of colors. Don’t forget that this Saturday (November 15) is our Caroline Abram Trunk Show. Stop by, see the new collection and fall in love!